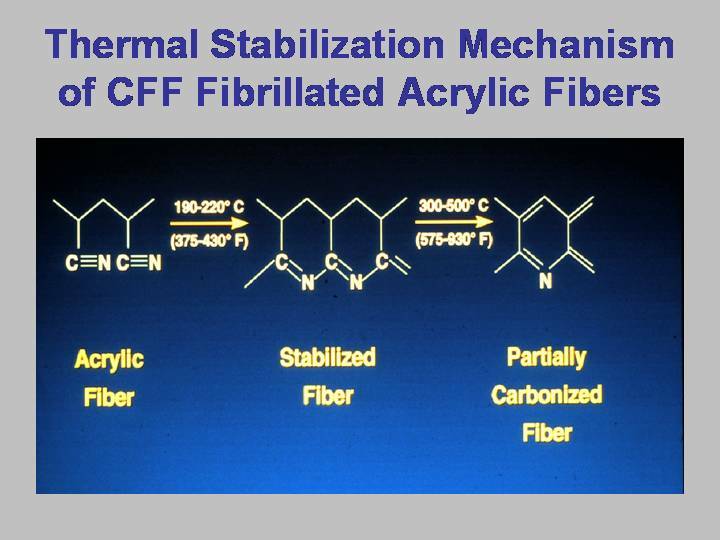 CFF V110-1 Fibrillated Fiber is our flagship product for friction materials. It is a dry, high surface area acrylic (PAN) pulp used for combined mix homogeneity and preform strength in non asbestos disc pad, truck block, railway and industrial formulations. 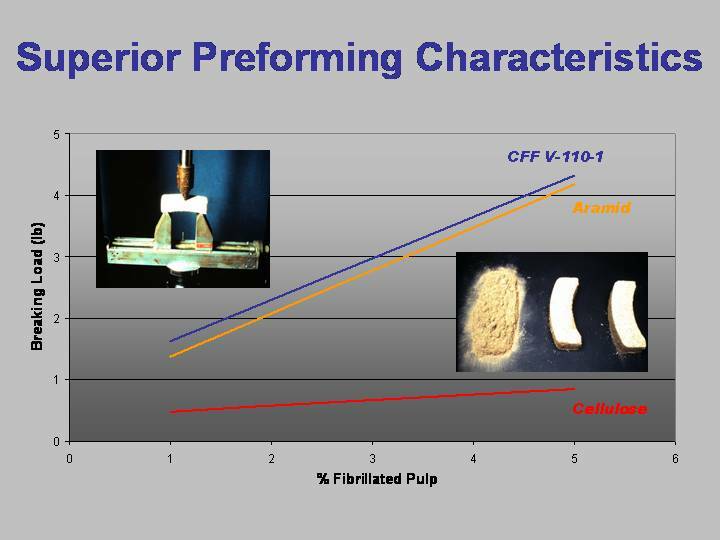 It offers equal performance to aramid pulp at a lower cost when used as a processing aid. 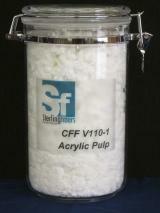 CFF V110-1 has been commercially available since 1988 and tens of millions of pounds have been used world wide. 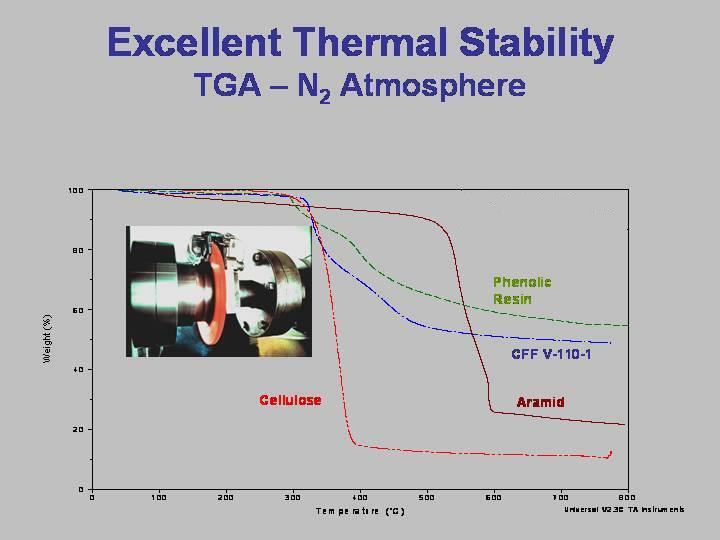 Extensive customer dynamometer and vehicle tests have demonstrated the excellent frictional stability of formulations containing these PAN fibers, and have resulted in increasing usage in both OEM and aftermarket formulations.